This year, I had so much fun thinking of Halloween costume ideas that I could create from scratch with items I already have in my closet. I have multiple Halloween parties to attend this year, so I needed to create a few costumes. Naturally, I wanted these costumes to also be easy to create and budget-friendly. I enlisted my friend Jennifer to help me bring my costume ideas to life including my idea to dress like Mary Poppins. Another idea I had was to dress like a devil. 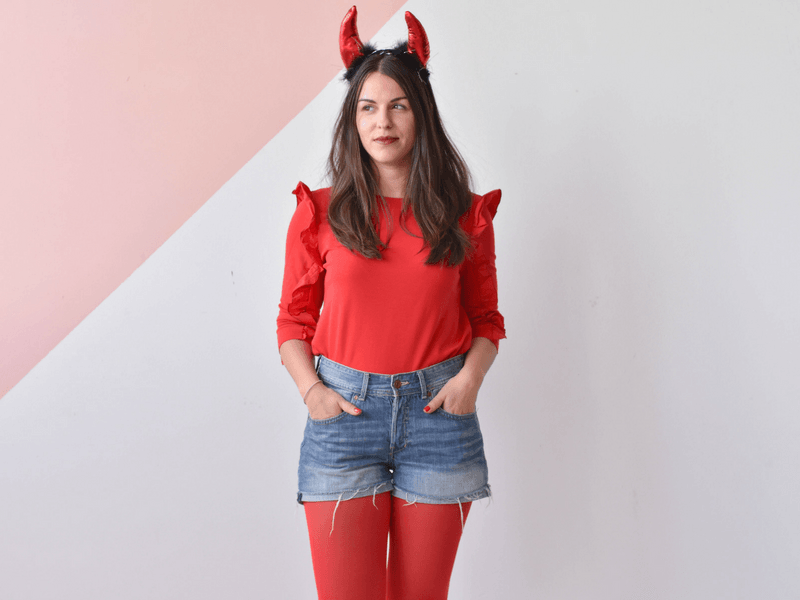 I was inspired by my red tights to create this costume, as well as Alessandra Ambrosio who once wore a similar Halloween outfit years ago (thanks, Pinterest). 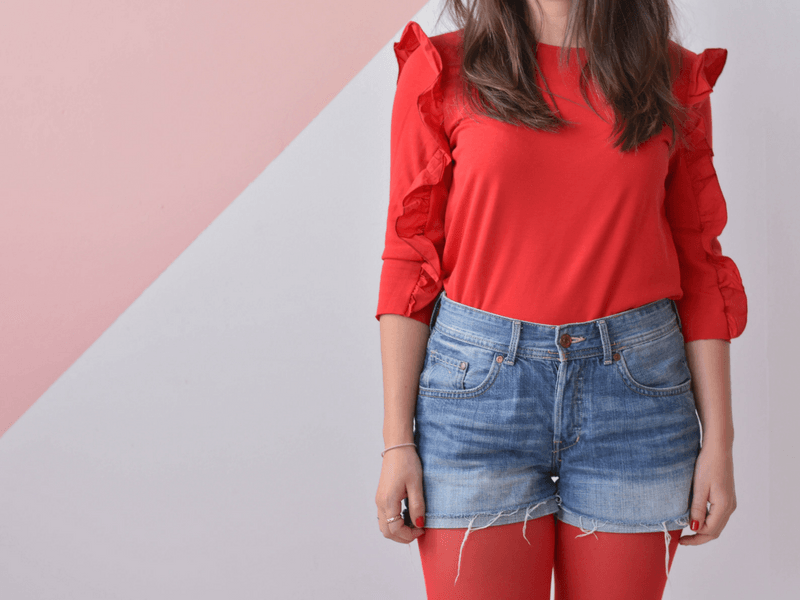 I had all the elements I needed to create this look in my closet and you should too. If you don’t, what’s best about this costume is that you can buy the pieces and still wear them well after Halloween is over. Just check out our outfit ideas for coloured tights, if you’re in need of some inspiration. 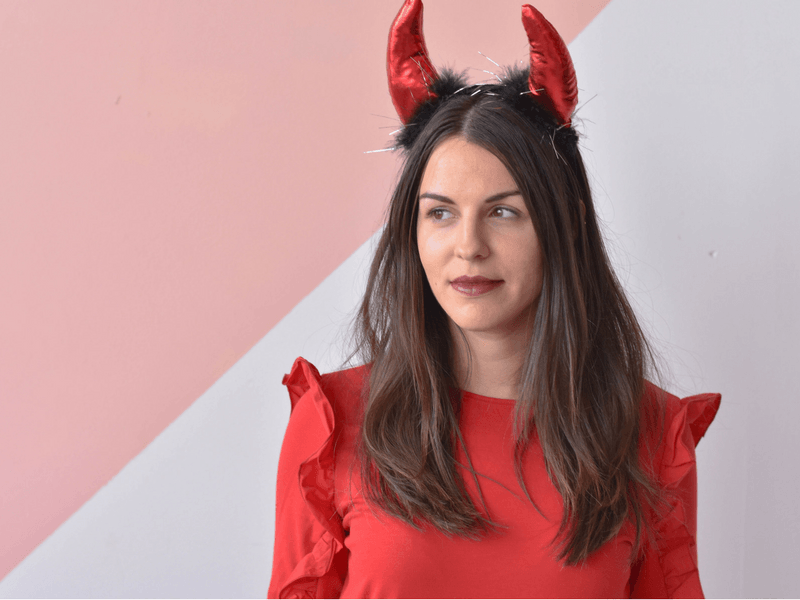 This devil costume is real simple to create and you can add your own elements to it by playing with your make-up and hair to make this look your own. Wear some dark lipstick and black eyeliner to complete your look and you’re ready for just about any kind of Halloween party. You can finish off your costume with booties, heels, or even a pair of Converse if you want to be more comfortable. Share your Halloween costumes featuring tights on Instagram with the hashtag #tightsforeverymoment. I would love to see them!